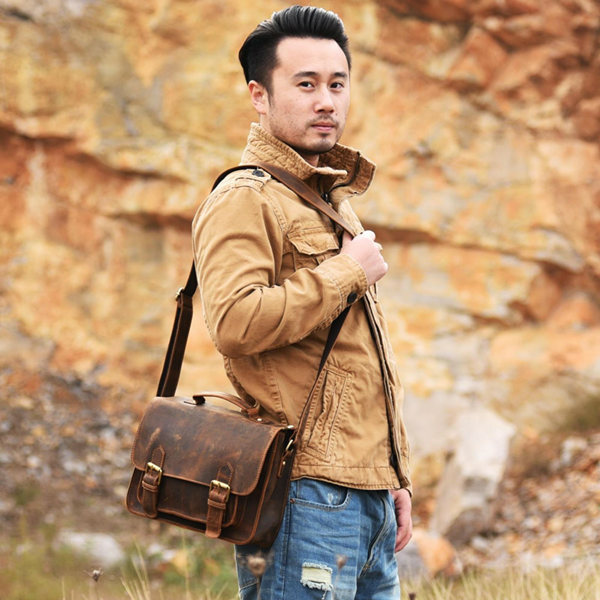 – Pick slim and slick men’s messenger bags in full grain leather to carry your laptop, tablet, office papers, books, gadgets and personal stuff every day to work or to college. They are a perfect choice if you joggle with a corporate life and a casual one, as these bags match any type of outfit or personal style. – Do you have to take a quick business trip or embark in a freelance project? 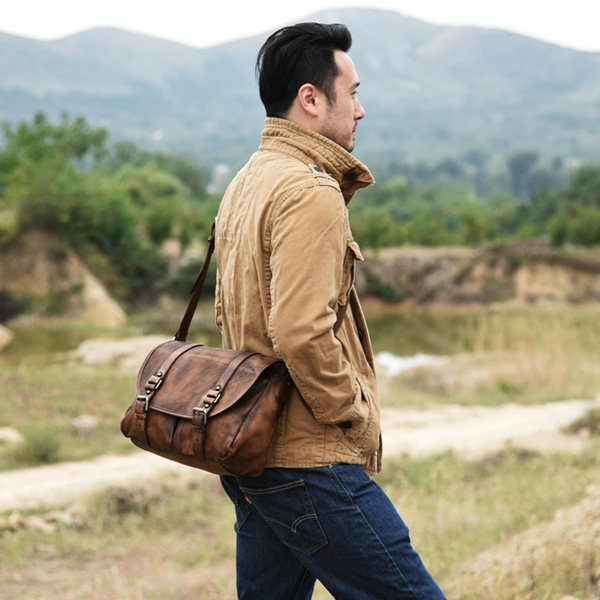 Grab you camera, laptop, a change of clothes and toiletries together with your wallet and phone and stash them in a heavy duty vintage washed canvas messenger bag with leather detailing to travel in full comfort and style. – Are you on a vacation? Have an urban chic leather shoulder bag for your adventures in new cities or outdoor environments. – Have everything perfectly organized and kept safe – with their many pockets and intelligent storage inside sleeves and compartments our messenger bags will never look overweight, being able to carry everything you need for a day or for a week. – If you are always on the go as a student or freelancer, pick one of our professional messenger bags for men designed to carry small or large laptops, professional cameras for photographers, sports gear for those searching for adventure every day of their life. Hot searches: leather briefcases, leather backpacks, leather handbags, leather duffle bags,leather laptop bags, leather messenger bags, leather travel bags,leather apple watch bands, crocodile bags, leather totes, leather belts, leather satchels, leather clutches, leather purses, leather wallets, leather hats,leather bags in dubai, leather bags in uae, leather bags in sharjah, leather bags in abu dhabi, Italian leather handbags, Italian leather bags, leather watch bands. What backpack is fashionable and practical for travel? Do you like handbag or shoulder bag?